Year on year the electronic capability of keyless digital locks becomes increasingly more sophisticated. In this blog post, we look at three of the features available on our electronic push-button door locks that help achieve a greater degree of access control. When a user enters three incorrect codes on an electronic digital keypad lock, the lock will suspend activity for a penalty time of 10 seconds. This feature helps to frustrate the opportunist who might stand at a door tapping in multiple codes in the hope of getting lucky. The ‘incorrect code’ or ‘tamper time out’ function reduces the chance of anyone guessing the code combination. It is possible to connect an electronic coded lock to a building’s alarm system to automatically free the lock (for a duration of 30 minutes) so the door can be opened without the code in an emergency situation. This feature is designed so that rooms can be quickly checked for occupancy in the event of an emergency. Electronic locks can also be connected to a release button to allow staff to ‘buzz’ in a visitor. This feature can be useful in a reception area of an office building for example that uses an intercom system on the front door. Electronic keyless door locks have a ‘code-free’ mode function. This feature is perfect for applications where access only needs to be controlled at certain times of the day. For example, many classrooms or lecture theatres need to be freely accessible during the day, but locked at night. The lock can be opened in the morning and put into ‘code free’ mode, so that teachers, staff and pupils can come and go. At the end of the day, access to that area can once again be restricted. These functions are available as standard on all of our electronic keypad locks. For more information on the features and benefits of electronic door locks, please visit our website or give us a call on 0800 393405. 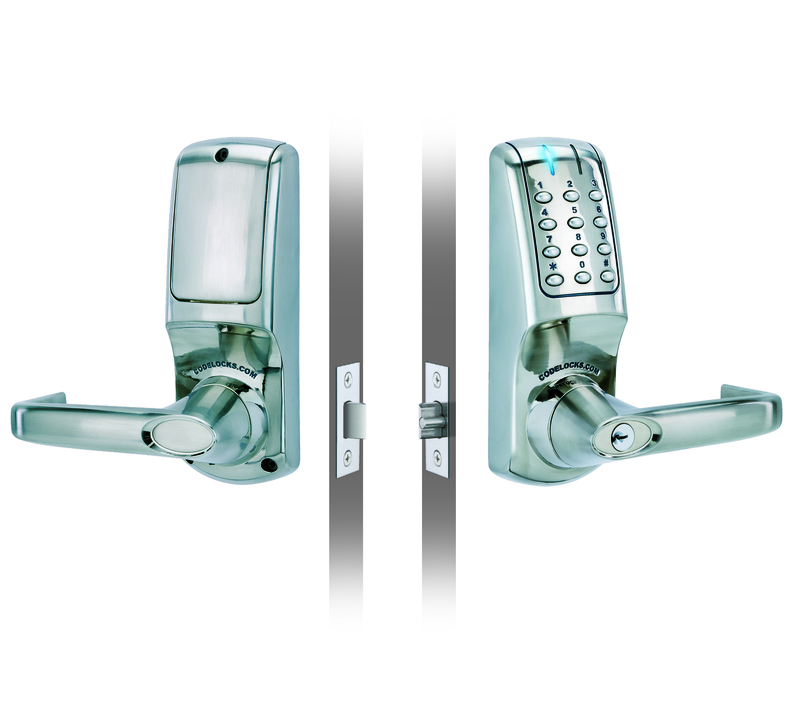 Keyless entry door locks ­– which is best?